... actually, I think it's the Australian model, but they printed the "Z" sideways (and the "O" upside-down). The entire word "ON" is upside down. TeraDak said there is no difference between a DC-30 and DC-30W. They did not explain why some units have the "W" designation and some don't. They are going to send me a replacement faceplate. I received a second DC-30 linear power supply today and it has face plate label errors also, plus, they sent me a DC cable with the wrong size DC power plug! The second LPS is for the hard drive enclosure in my stereo system at work. Figure 37. First DC-30 on left, second unit on right. The second unit gets just as warm as the first when it is working. I am guessing that the hard drive enclosure draws near or at the power supply's current capacity (2 amps). Figure 38. The answer is still NO! The second DC-30 unit arrived with the word "ON" engraved upside down (or in reverse order) and the cryptic label "Car DC-DC Linear Power Supply". Figure 39. I ordered a DC power cable with a plug size of 5.5 mm outside diameter and 2.1mm inside diameter. They sent me their standard cable with 3.5mm x 1.3mm plug. A corrected face plate for the first DC-30 as already been shipped. In just three short weeks, I will have a corrected face plate and corrected DC power cable for the second DC-30. Ha ha...oh my god. And they turn away our recycle :^ / Reminds me of the Chinese Buffet restaurant with the sign out front saying "You Can Eat All"
I work with the Chinese and the language barrier is horrible but their English is much better than my Chinese. I installed the new TeraDak LPS in my system at work. I use the same brand and model of external hard drive enclosure as at home (Rosewill Armer RX304), but the hard drive is different: 3.5" Western Digital Black 6 TB at home, 2.5" Seagate 5 TB at work. After 30 minutes of music play, the TeraDak's top was only 87.9 degrees. I used this same power supply at home and, like the first TeraDak LPS, the case top was up to 120 degrees after 30 minutes. 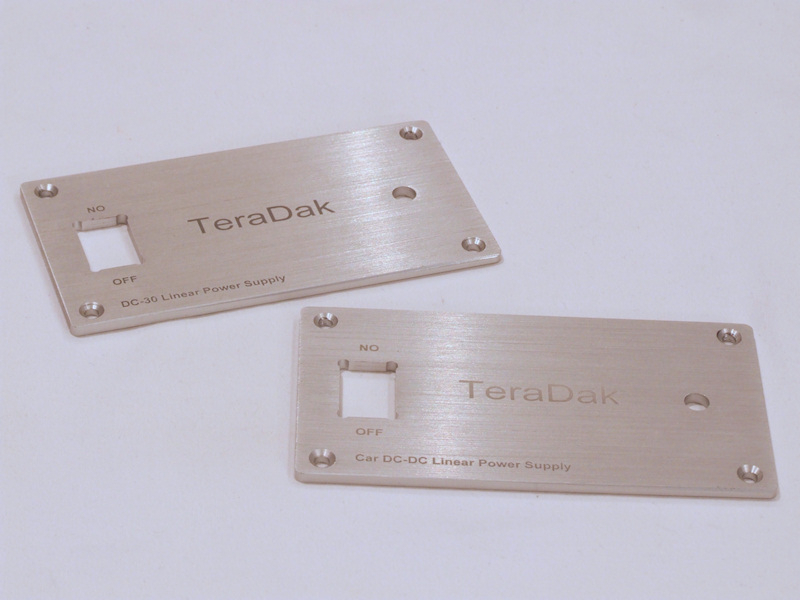 So yes, the TeraDak LPS is working very close to its max output with just the WD Black HDD alone. 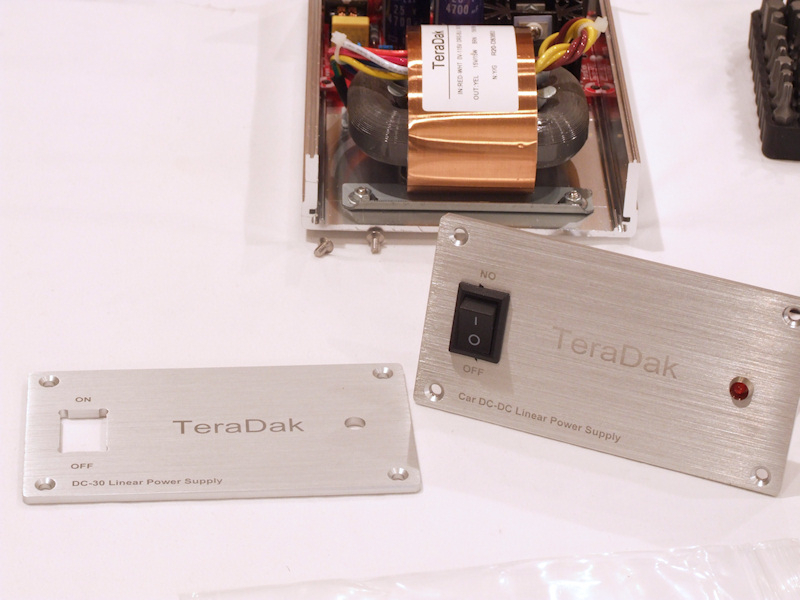 When the current draw for the Rosewill enclosure's fan and controller circuits are combined, the total current draw is probably right at the TeraDak's max output. Anyway, the TeraDak's tenure in my two channel stereo system will be short lived. When my evaluations are complete, the external HDD will be replaced with a Synology DS718+ NAS. Figure 39. The sound quality is identical between the external HDD (with its power supply and USB cable improvements) and the NAS with just ordinary Ethernet patch cable. 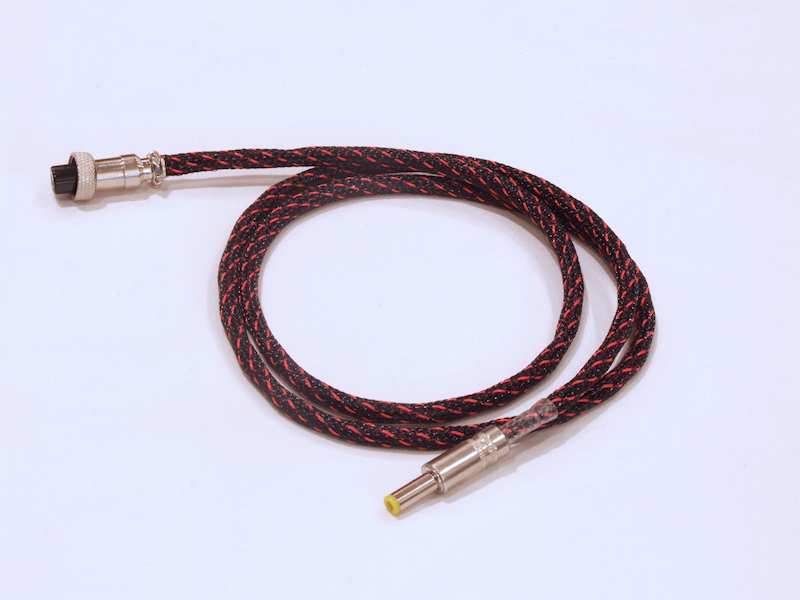 I'd like to try the Acoustic Revive cable, but the cable does not appear to be easily sourced. On Amazon it comes with very high shipping costs. For example, an Amazon purchase comes with $42 a shipping cost and a similar cost if I return it. On eBay, this cable is available from multiple vendors, but I am concerned about getting a counterfeit. 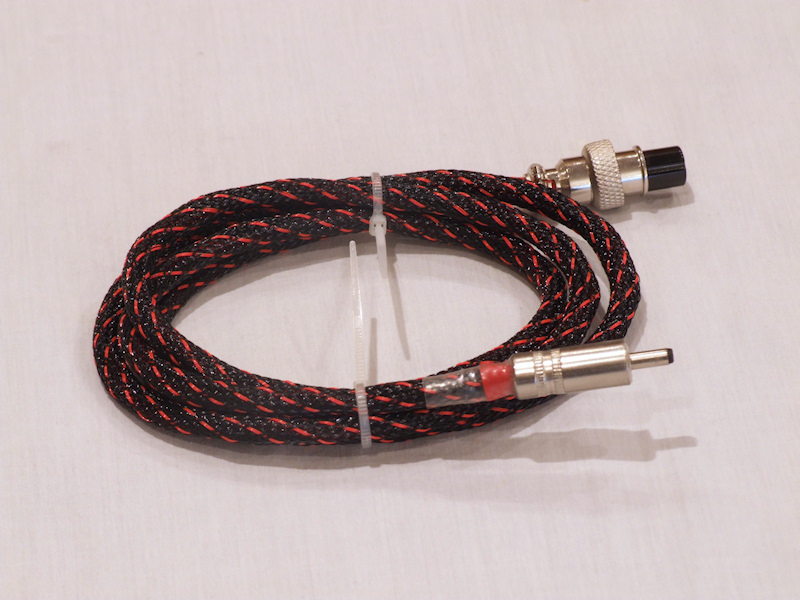 If you have any suggestions about acquiring this cable from a reputable stateside vendor with a reasonable return policy, please PM me. What equipment is your Acoustic Revive LAN cable connected to? I bought my Acoustic Revive LAN cable on Audiogon back in 2012. I understand that you are worried of receiving a counterfeit ordering from Ebay. I don't blame you for not doing it Ray. I haven't searched for the Acoustic Revive LAN cable since 2012, so I cannot recommend a legitimate source and having cheap shipping, unfortunately. As far as my usage of the Acoustic Revive LAN cable: I have it hooked between the Denon DVD-5910 Universal (at that time anyway) player, where I tapped the pre-encoded DSD signal and output it to an RJ-45 jack I installed into it. Using the Acoustic Revive LAN cable, I have it hooked up to a self built DAC using the Buffalo II DAC and tube output boards utilizing two 1978 Tesla E88CC tubes and two 1961 RCA 5751 tubes. I recently received two Tung-Sol angled square getter, long black plate 12AX7 tubes, but have yet to install them as I am evaluating some Quetline Mk III filters in my system, and didn't want to start switching things up until I hear any differences. I have already perceived differences in (mostly) air, and some detail in my system. I would definitely be interested in hearing your thoughts on the Acoustic Revive LAN cable if you can attain one at a reasonable price. OK, I was wondering if you were using it as a digital interconnect or as a LAN cable. I would be using them as LAN cables, one between my Bryston BDP-3 digital player and a wireless access point and the other between my two channel system NAS and the access point. In my application I wouldn't expect to hear a difference. 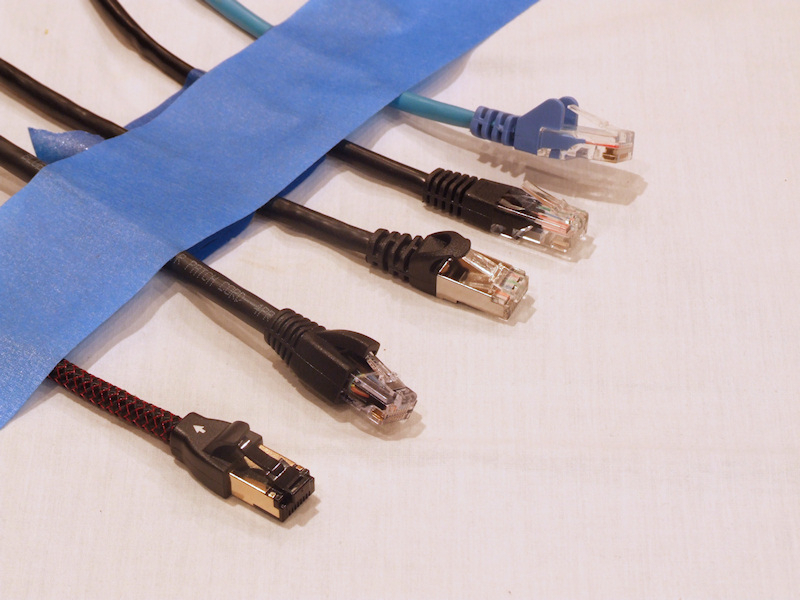 In your application as a digital interconnect, audible differences among Ethernet cables are more likely to occur. Very good point Ray. Depending on the application, it may be more likely to hear a difference using this cable, I definitely heard a difference (as a digital interconnect). Using this cable may, or may not allow you to hear a difference. It may be an interesting experiment to see if, at some point there is an audible difference between ethernet cables used in your application. That was my thought on the subject. I have not tried the Acoustic Revive in your application, so I don't know whether or not you could perceive a difference. It would be an interesting experiment to see if at a certain point even using an ethernet cable as a LAN cable would allow you to hear a difference? I see you tired different cables, but at some point, do you think there could be a difference? Also, that may be why (tolerance levels involved), when I used a self built ethernet cable as a LAN cable it worked, and when I used the same cable as a digital interconnect it did not work. Plugging the DS718+ NAS into the wall resulted in a small loss of clarity, detail, image weight and tactile sensation. The loses were particularly evident in the bass. Whether the NAS was fed from the wall or from regenerated AC, I didn't hear a difference among the Ethernet cables compared. "Yes. We have the type PSU." Now I am waiting for them to respond to my followup question asking for the specific model number of that particular PSU. My Synology 713+ uses a 12VDC @ 6.0A switching mode power supply. I won't try to upgrade the power supply to a linear model till I decide whether I want to upgrade the NAS to a faster processor -- Core i3 -- and 4GB RAM to run Roon Server, rather than Synology's DSM. Roon also recommends a small SSD to store their database. I look forward to reading your assessment of the effects of the linear power supply on the performance of your NAS. Have you considered using Roon? Not interested in Roon at all. Mine will have a 150 watt transformer and 4-pin DC power cable providing two 12V 6.25A sources to the NAS. Cost was $317, which is close to 80% of the retail price of the DS718+ NAS. 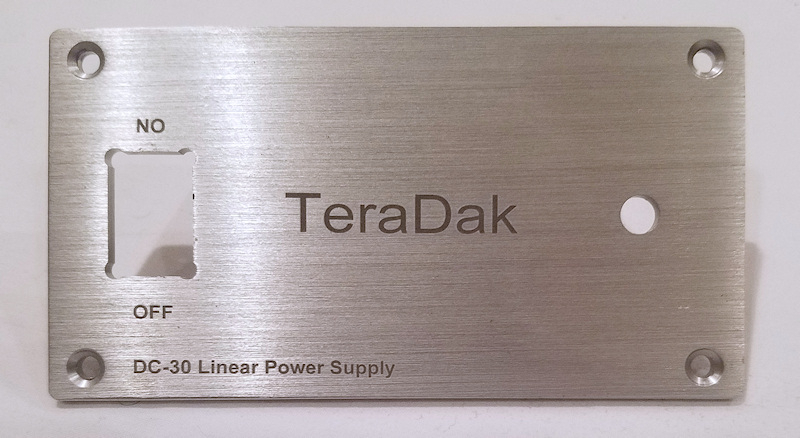 People on other forums have reported good performance improvements after replacing the stock power supply of their Synology NAS with a TeraDak LPS. I also maxed out the RAM, going from the stock 2 GB to 8 GB. There was no audible benefit from more memory. It just comes in handy when running multiple streams and multiple applications. 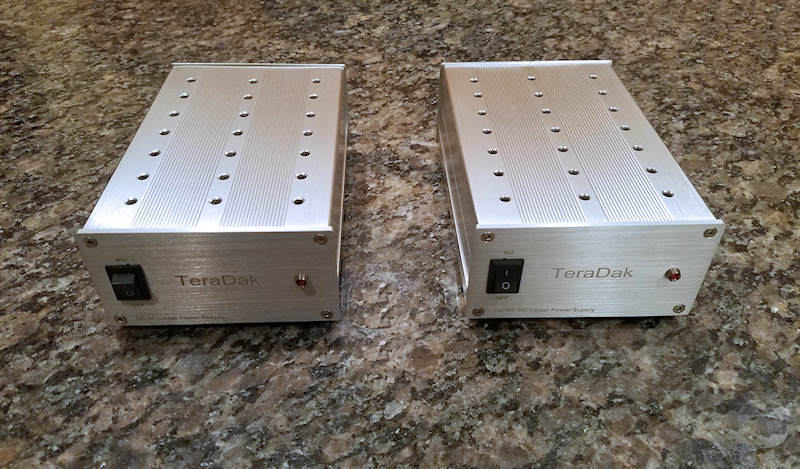 The replacement faceplate for my first TeraDak DC-30 power supply has been received and installed. I had to desolder/resolder four wires in order to remove the old faceplate. I am still waiting on the replacement faceplate for the second DC-30. Figure 41. TeraDak does know how to make a proper faceplate free of spelling errors. Figure 42. Can I just live? Can I order merchandise from far away lands and not have spend time and effort replacing parts errors that should have been caught by QC? They were probably rolling the dice and hoping no one would notice. Bye loser. I picked up a Aries Mini and it came with the stock power supply as well as a TeraDak. I can say hands down I heard a difference between the stock and the TeraDak. Thank you for bringing awareness to a reasonably priced linear power supply. DK, any suggestions on a similar linear power supply for a chromecast audio? It uses a USB to MicroUSB connector if I remember right. Not to derail, on my Chromecast audio, my paranamax has USB for one of the power sources. That is where I connected it for power instead of using the wall wart. The link that @Mikey081057 posted shows the iFi Audio iPower supply as an upgrade for the Chromecast. 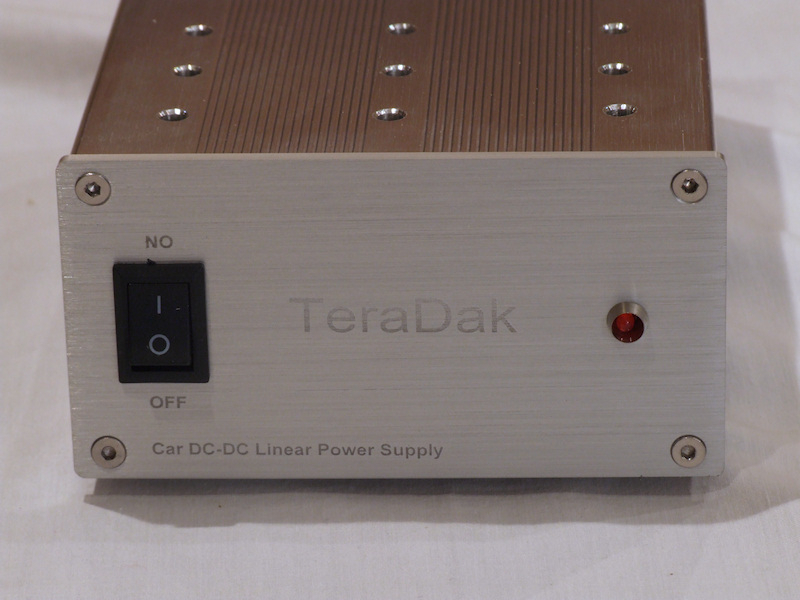 The TeraDak LPS in this thread is a big upgrade to the iPower. 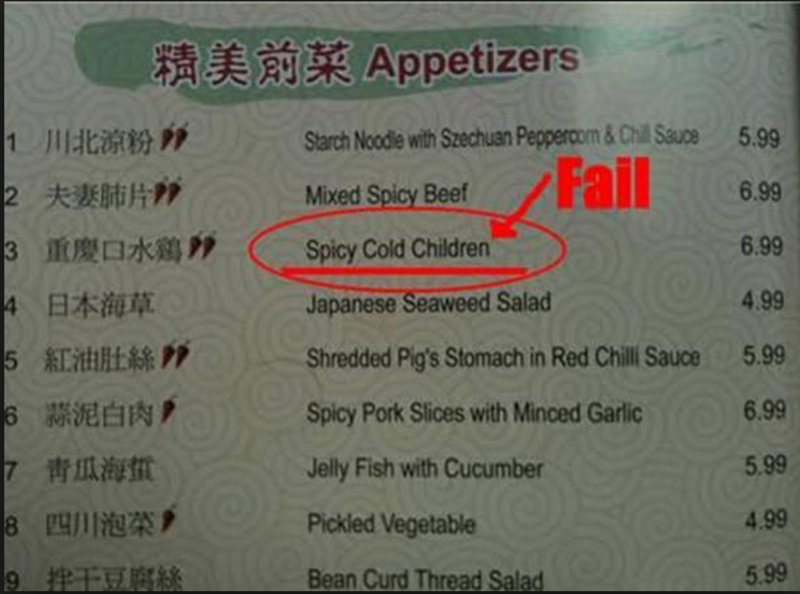 Oh, OK. I'm not familiar with Chromecast stuff at all. I received some more stuff from TeraDak. Figure 43. The second DC-30 linear power supply came with the wrong DC power cable. This is the correct cable. Figure 44. Both of my DC-30 LPSs came with faceplates with misspellings and other errors. on the left is the replacement faceplate for my second unit. Figure 45. I'll cut these into shuriken...get some practical use out of them. Figure 46. The newly arrived DC-150VA linear power supply which will be used with the Synology DS718+ NAS in my two channel system. 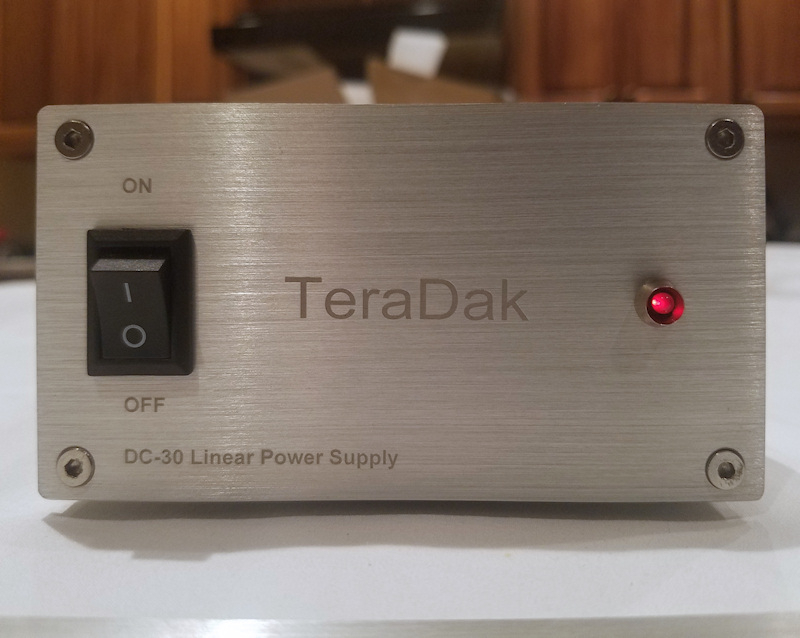 After trying this power supply with the NAS in my home theater system, I decided to order a TeraDak linear power supply for that NAS. 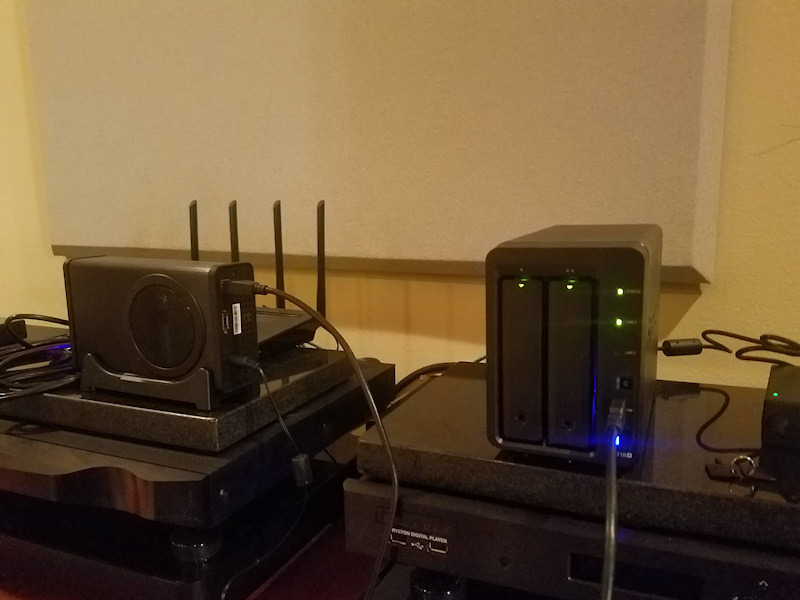 The DC-150VA LPS provided modest improvements in clarity, detail, and tactile sensation when I attached it to the Synology DS718+ NAS in my two channel system. When I took the DC-150VA to my home theater system and attached it to the Synology DS918+ NAS, there were modest improvements in sound and video quality. Figure 47. Still images photographed from OLED 4K TV screen. Picture with stock Oppo UDP-205 power supply on left, picture with Oppomod LPM SE power supply on right. 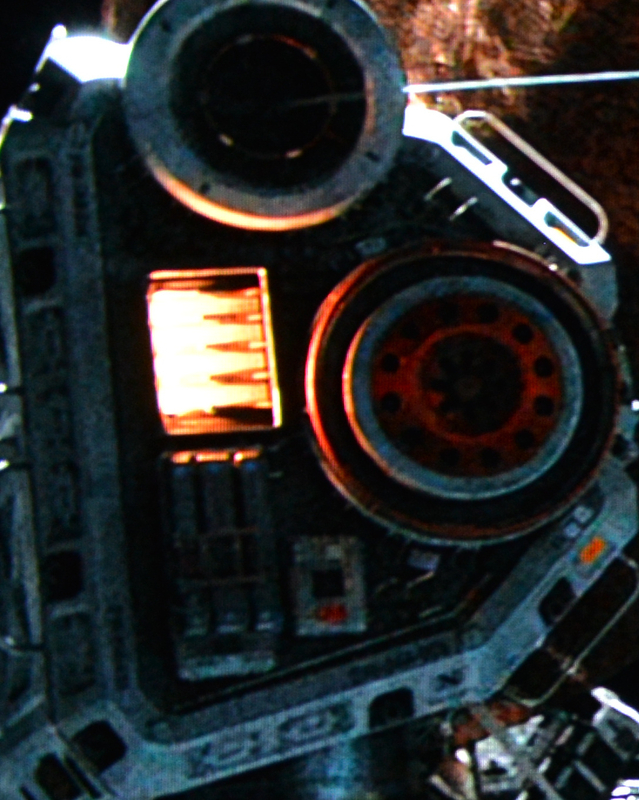 Images are from the beginning of "Alien Covenant" at time 00:01:17. The picture with the linear power supply is brighter and has more detail overall and better color rendition. Figure 48. Still images photographed from OLED 4K TV screen. Picture with stock Synology DS918+ NAS switch mode power supply on left, picture with TeraDak DC-150VA power supply on right. Images are from the beginning of "Alien Covenant" at time 00:01:17. The picture with the linear power supply is brighter and has more detail overall. in the dark areas of the picture. 1. The brightly lit parts of the picture exhibit blooming (exaggerated brightness and bloating of the image) with the stock power supply. This is seen in the sunlight reflecting off the tether line and upper flat parts of the metal. The orange-yellow light to the left of center, as well as the reflection of that orange-yellow light to the right of it, also exhibit blooming. 2. The dark areas of the picture, such as the centers of the circular parts, show more detail with the linear power supply. 3. 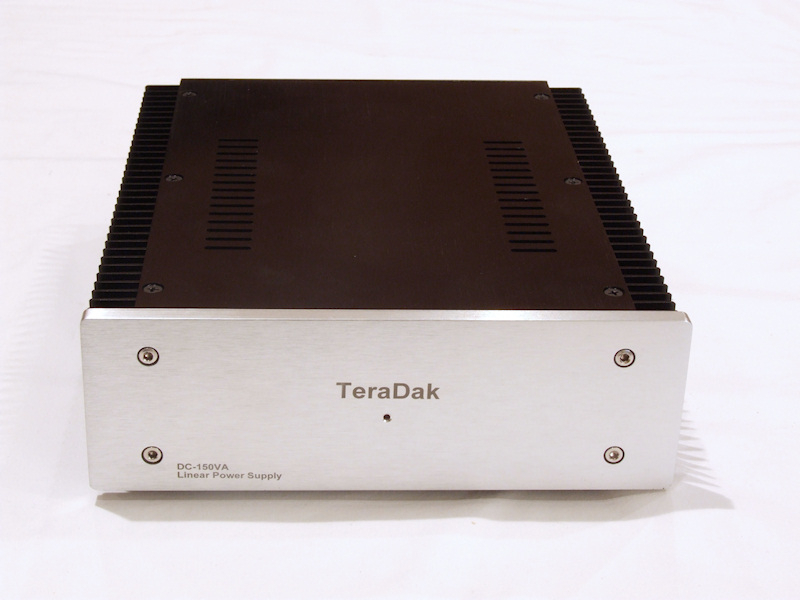 The gray metal surfaces with the stock power supply appear blurred compared to the their rendition with the linear power supply. Figure 49a. Scene of Covenant spaceship exterior from "Alien Covenant" with stock Synology DS918+ NAS switch mode power supply. Figure 49b. Scene of Covenant spaceship exterior from "Alien Covenant" with TeraDak DC-150VA power supply. Figure 50. 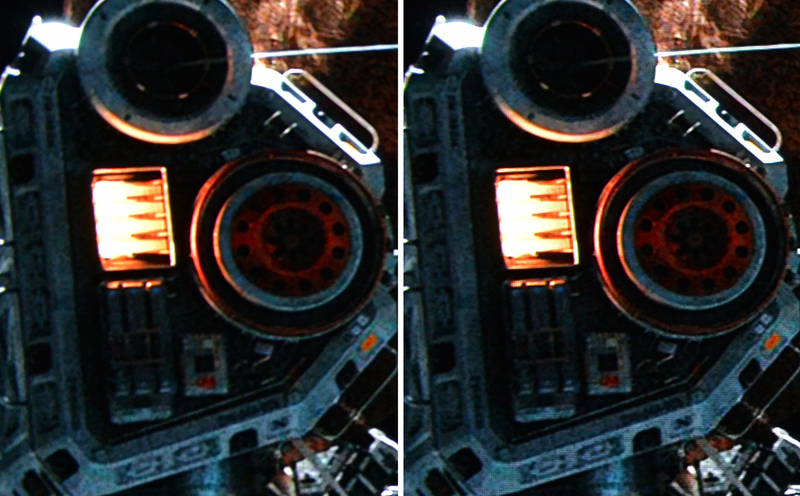 "Alien Covenant" space walk scene, with stock power supply on left, linear power supply on right. Some of the stars also exhibit blooming with the stock power supply.